With so many new and exciting dining options while traveling, I rarely eat at familiar American based fast food chains. When I do, however, it’s always fun so see what’s on the menu. A torrential rainstorm while motorcycling across Langkawi Island, Malaysia sent us scrambling into Kentucky Fried Chicken for cover. We were lucky enough to order these beauties….. Premium fish chunks shaped into donuts, deep fried until golden brown, tossed with powdered sugar, sesame seeds, then served with tangy tartar sauce. 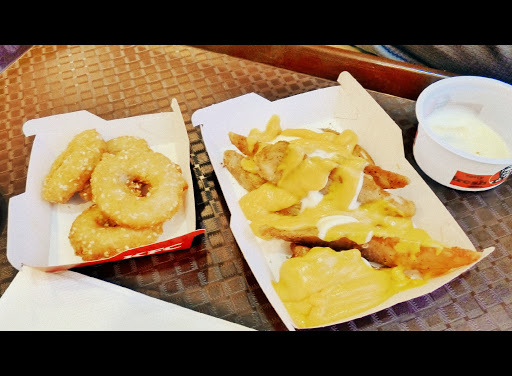 Here are a few more fast food items you should try while abroad.